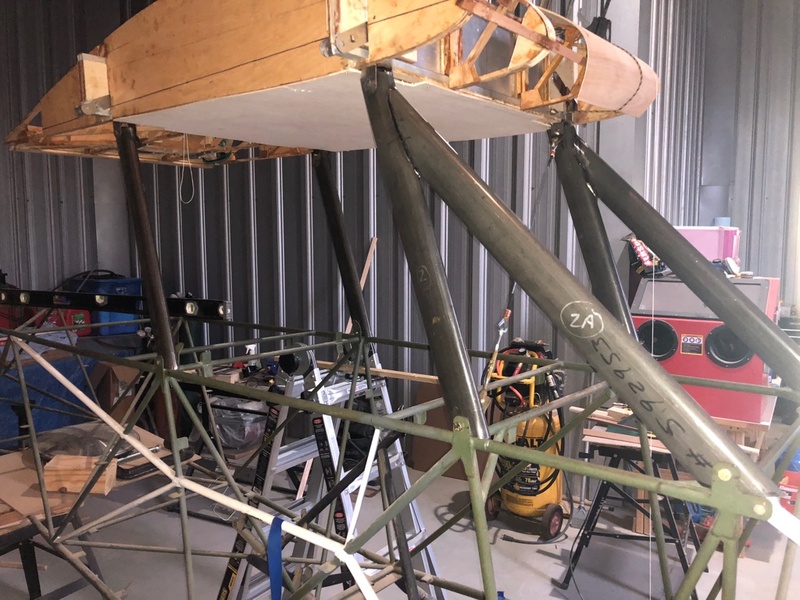 I have built my cabanes and diagonals, and I chose to use 4130 Chromoly streamlined tubing as opposed to aluminum or wood. I want to corrosion treat the inside of the cabanes and am looking for suggestions. Steve D, I know you mentioned using CorrosionX on your Bonanza. Which version? How would you apply to the inside of the tubes? I stripped and derusted the outside. (I found wrapping them in aluminum foil while coated with stripper worked best. followed by steel wool. Then I Then put a tiny light inside one end and took a look. Some rust but nothing bad. This plane was kept indoors. Plugged the holes with my gloved fingers and Rolled the struts all over the axis for about 5 minutes each. You could hear it slosh. Poured most out, but left some in and leaned them in the corner waiting to go to the airport. I will "reslosh" before I put them on. I put the extra back in the gallon can, so now I have 7/8ths of a gallon left. Too bad it cannot be used with Latex paint. I decided not to do the AD required for a Piper cub. Using a Maule Fabric tester on it for 2 reasons, 1. It beats up a $300 dollar Maule fabric tester and 2. It beats up your strut. THis test is where you put graph paper on the bottom end of the strut and punch the strut in each square, thin wall dents. My IA buddy really doesn'tlike this test. I bought a ultrasonic metal thinckness tester and used that. My IA later traded me out of it. Why linseed oil and not the newer oils? I looked at CorrosionX, LPS, ACF50 and several other products. None seemed to do much more than what the Linseed oil would do. It flows in well and (especially heated) fills all the little crevaces and seals holes. Then it hardens, first as it cools and then more as it ages, to a waxy oxygen barrier. (Raw stays more waxy, Boiled eventually gets hard.) So no more rust production without O2. I can retreat about 8 times, Cheap and predictable results. That was several years ago. I still have Linseed oil slowly seeping out. BTW If you get linseed oil on your old suburban upholstery It will not come out for love or money! I have built my cabanes and diagonals, and I choses to use 4130 Chromoly streamlined tubing as opposed to aluminum or wood. I want to corrosion treat the inside of the cabanes and am looking for suggestions. Steve D, I know you mentioned using CorrosionX on your Bonanza. Which version? How would you apply to the inside of the tubes? winters till the car was 14yrs old and had 300,000km on it when I tossed it. 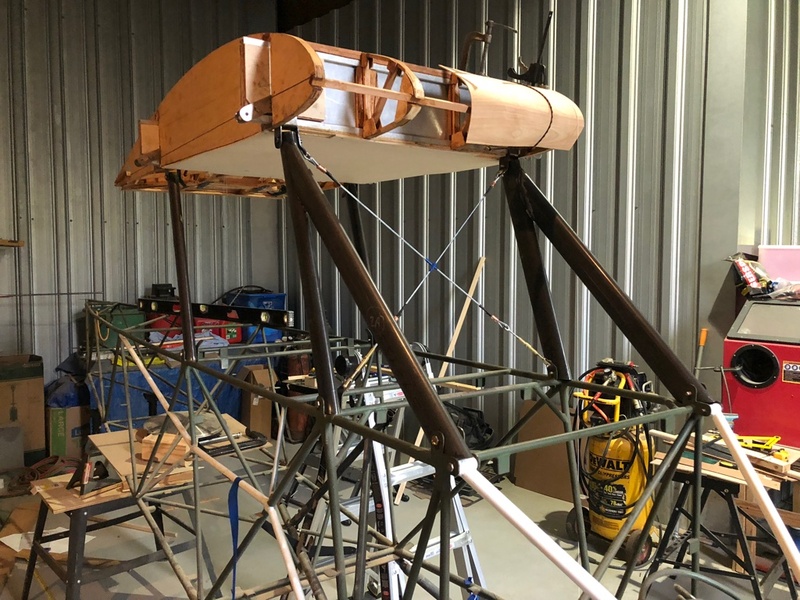 Beautiful work on your welded fuselage Terry. 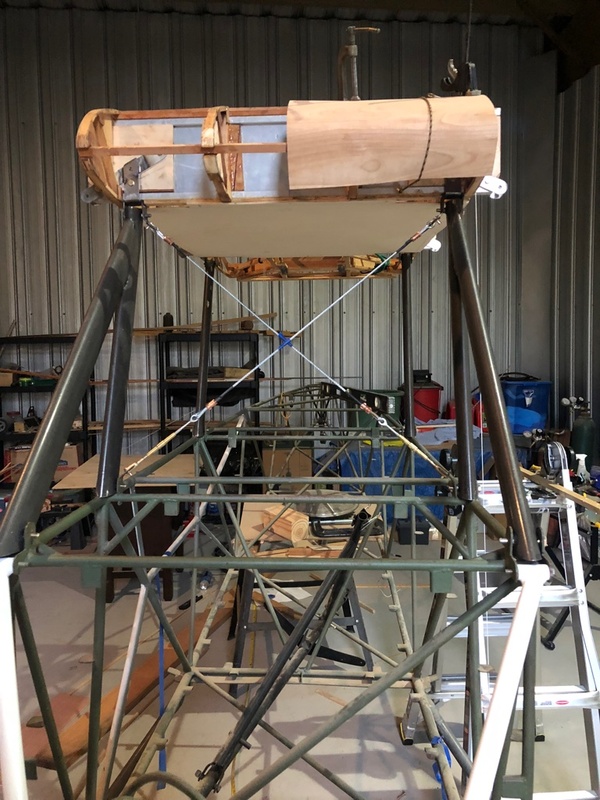 Concerning the flying struts, one thing that makes me feel better when flying mine and pulling a few Gs is the old Pietenpol fable (which may be true) that Bernard said that he designed the Piet so the flying wires between the struts will fully support the wings in flight even if all four struts fall off. And its not that hard to believe since at a 1100 lb gross weight each of the four cables would only have to support 275 lbs. Redundancy you don't get with a Cub or most other high wing with flying strut designs. of his bike frames and he tig welds, he would be a good source, and he has actually been a great one. If any of you out there are looking for a welder, you might try going the same route I did. See if there is a custom bicycle shop or similar in your town. It worked for me.